(Atlanta Sept. 18, 2017) – Results of a recent wildlife survey led by the Dian Fossey Gorilla Fund in the Democratic Republic of Congo suggests there are twice as many Grauer’s gorillas in parts of Maiko National Park than originally predicted. This is especially welcome news given that Grauer’s gorillas are among world’s most-endangered apes and face numerous threats to their survival, with only a few thousand still remaining. Their population has plummeted as much as 80 percent in recent decades. The greatest threat to Grauer’s gorillas and other wildlife in the region is poaching, which is largely fueled by the illegal trade in conflict minerals. In 2010, legislation was passed which required U.S. companies to disclose whether their products contained conflict minerals. Just this last week, the U.S. House of Representatives passed an amendment that would defund the “conflict minerals rule.” If this measure is passed by the Senate, it will bring additional pressure to this species’ survival. In the relatively small portion of the park that researchers were able to survey, they located evidence of more gorilla groups than expected and now estimate 30 gorillas live in that area, with likely more living throughout other areas of the park that have yet to be surveyed. Maiko National Park is one of only two formally protected areas within the Grauer’s gorilla range. 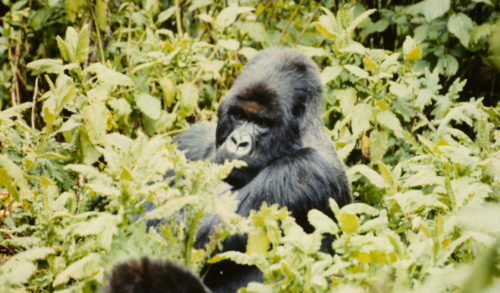 However, Maiko had not been surveyed for gorillas for many years, primarily as a result of security challenges in the region and the difficult terrain. “We surveyed less than 1 percent of the park and found evidence that more gorillas exist there than has been recently suggested. This is very exciting and demonstrates the critical need for more surveys to fully understand how many gorillas remain as well as more conservation support for the park”, says Dr. Tara Stoinski, Fossey Fund president and CEO/chief scientist. The survey team also found signs of chimpanzees, okapi, buffalo, duikers, giant pangolin, monkeys and other rare wildlife, as well as evidence of poachers and mining activity. The Fossey Fund works to protect Grauer’s gorillas in a core area of their range outside national parks, by working with local communities and traditional landowners, and training local people to become gorilla trackers, with five teams now working regularly from a permanent base north of the town of Walikale. 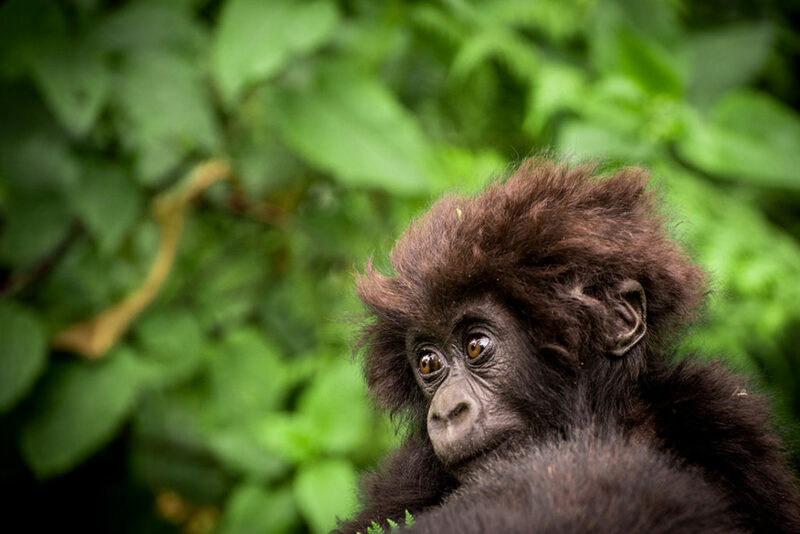 The Maiko survey represents a collaborative effort between the Fossey Fund, the Congolese national park authorities (ICCN — Institut Congolais pour la Conservation de la Nature) and the local community living around the park. Fossey Fund’s Congo program director, Urbain Ngobobo, and research and conservation program manager, Escobar Binyinyi, worked with Maiko chief warden, M.A. 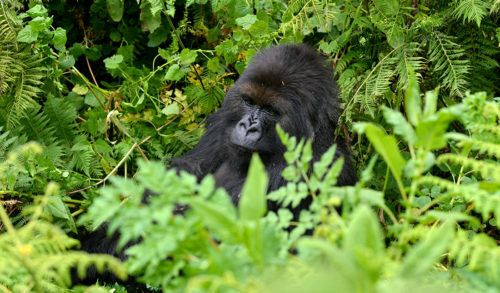 Boji Dieudonne, to survey gorillas and other crucial wildlife in a 100-square kilometer section of the park. A team of nine Fossey Fund field staff, as well as monitoring officers from Maiko/ICCN walked for several weeks in extremely difficult terrain, measuring signs of gorillas along pre-determined transects. 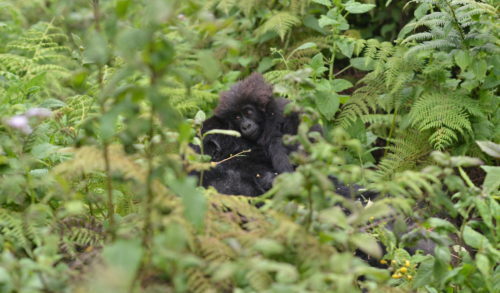 They found good, fresh signs of the presence of gorillas, such as night nests, foot prints and food remains, suggesting there are two to three Grauer’s gorilla groups just in this area, says Dr. Caillaud. 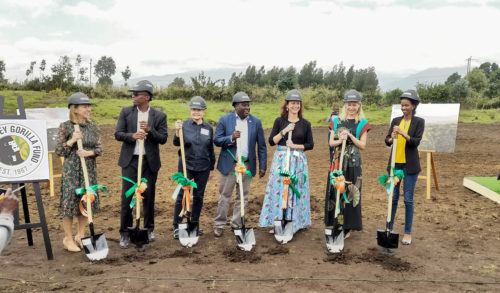 These findings are especially heartening as the Fossey Fund celebrates its 50th anniversary on Sept. 24, marking the day in 1967 when Dian Fossey founded the legendary Karisoke Research Center. But they are also very critical, given the potential de-funding of the conflict minerals rule, which has brought some progress and international attention to the mining situation in Congo. With the Fossey Fund’s daily mountain gorilla patrols and 50 years of research all based out of Karisoke, it is known that intensive protection can save endangered gorillas. Indeed, mountain gorillas are the only wild ape whose numbers are stable.